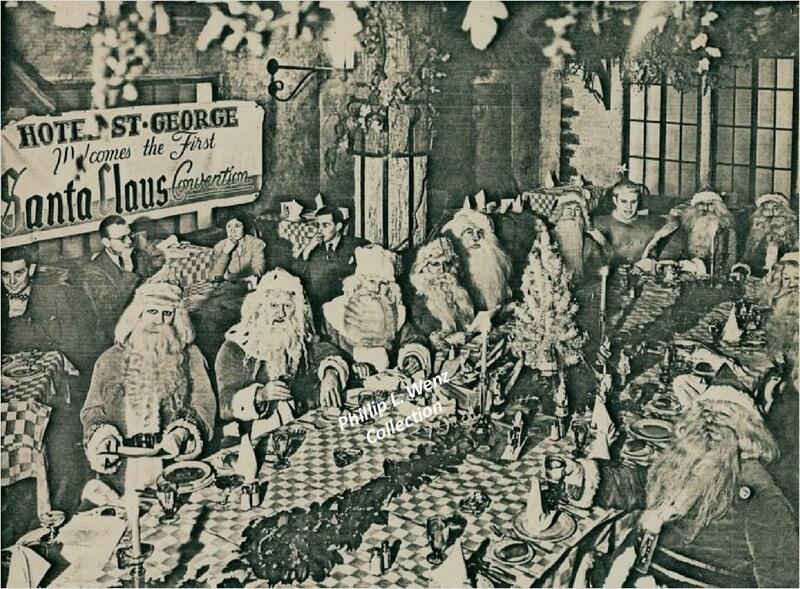 The first Santa Claus Convention, held in 1939 in New York City, New York, was a 2 day affair that brought more than a dozen Santas to the Hotel St. George. It was held by the Benevolent Order of Santa Claus, which was founded two years earlier in 1937, to promote a positive image of Santa with guidelines such as clean costumes, personal hygiene, and knowing the reindeer names. During the conference portion of the convention discussion, a foundation was laid for the code of conduct that included; Santa will never smoke, drink alcoholic beverages, or use any language unbecoming of a saint, be physically and mentally healthy, never break character, incorporate folklore and legend, and use the best available costuming. After the convention, the Benevolent Order of Santa Claus continued for a few more years. In 1942 the Order was dissolved. There would not be another convention until 1950 that was held by the newly organized, Ancient and Mystic Order of Kris Kringles in St. Louis, Missouri. Santa Sam Caress, President of AMKK, was very instrumental in laying out a 2 day conference that held seminars taught by Santa Frank Lais of New Orleans, Louisiana and Santa Charles W. Howard of Albion, New York. In the convention’s symposium, 12 important topics were open for discussion. The symposium used “Roberts Rules of Order” and was presided over by Santa Francis A. Kirby of Silver Springs, Maryland. There would be a few more conventions in the United States in the 1950s and 1960s. Then not another until 1985…but that is another story.